Dallas (AP) -- Jerry Merryman, one of the inventors of the handheld electronic calculator who is described by those who knew him as not only brilliant but also kind with a good sense of humor, has died. He was 86. Wow. I saw a breaking banner earlier from my local Philly paper about this. He did not invent the calculator!! I expect that articles specifically from tech sites vs from AP probably have more details on that. So you are a super nerd, too. I still have a Commodore Calculator and a TI one. The TI-30 was the first calculator I ever had. Mine came with this groovy math book. Your Casio doesn't happen to be this gem, is it? (Raises hand) Yeah, I had one of those. I think it was my second calculator. I'm old enough to remember when the hand-held calculator was new and expensive. do you mean graphing ones or even just the basic ones also ? IIRC, they were very basic, and not very small either. 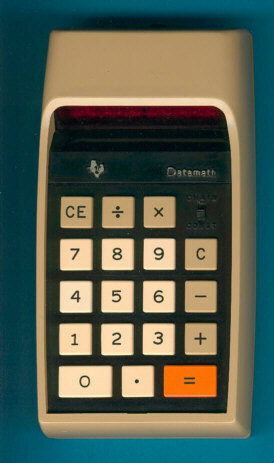 Handheld calculators exploded in the late 70s / early 80s. That's as I remember it, also. The prices dropped fairly quickly, within a few years, as they quickly became mass produced. 1,329,502 x 4 turned upside down. I paid $300 + for a hand held... I believe it was sometime around 1975. My old man had one of the original TI calculators. 2. He did not invent the calculator!! Robert A. Ragen, working for Friden later bought by Singer, invented the calculator. He holds almost 100 patents. TI started to produce calculators and Singer reached agreement for a settlement for breaking patents. I know because I have the original patents on my wall, have the original magazine ads, and have Scientific American article on it. The original calculator is in the Smithsonian and has been displayed. On edit: Link to Wikipedia: https://en.m.wikipedia.org/wiki/Friden,_Inc. From what I understand, the device that Ragen had was a "desktop" model. 21. I expect that articles specifically from tech sites vs from AP probably have more details on that. 6. So you are a super nerd, too. I still have a Commodore Calculator and a TI one. 7. 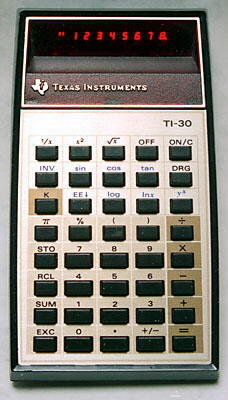 The TI-30 was the first calculator I ever had. 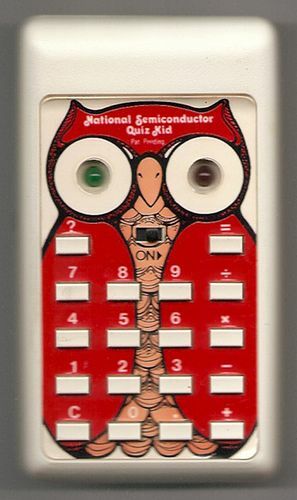 It was the first calculator my family could ever afford. If he had anything to do with that, then God bless him. The official date of the death of the slide rule occurred on June 13, 1976 when Texas Instruments introduced the single chip TI-30 scientific slide rule calculator for $24.95 USD, which was below the cost of a comparable slide rule. There was no cost benefit to new students, technicians and engineers to buy a slide rule anymore, as everyone could afford the TI-30. Coincidently, barely one month later on July 11, 1976, Kueffel & Esser, the oldest and largest slide rule manufacturer in the United States, produced their last slide rule. In the next month of August, 1976, Pickett Industries followed suit, stopping all production of their slide rules. 23. I still have mine! A Christmas present in 1978. Sitting on my dresser right now. Replaced it in 1985 with a Casio, which is the calculator I still use. I've owned exactly two calculators in 40 years. 24. Mine came with this groovy math book. 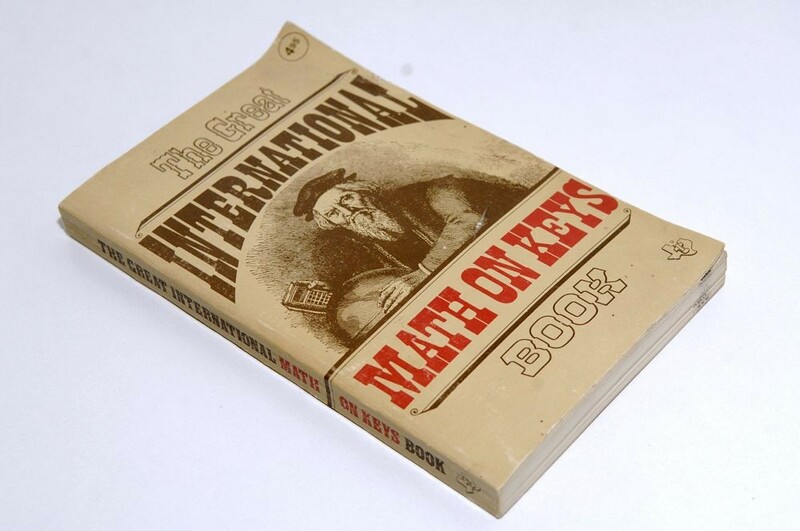 Seriously, it was one of the most fun math books I've ever read. and may still have it. 33. Your Casio doesn't happen to be this gem, is it? That was my very next calculator after getting the TI-30. It had stats on it. I LOVED that thing and used it up until just a few years ago, when it was stolen in a car break-in. I never once ever changed the battery. I still weep when I remember my 506S. 25. (Raises hand) Yeah, I had one of those. I think it was my second calculator. I had one I used in summer school in 1976, but it was a TI with a vacuum fluorescent display. I can look it up at the online calculator museum. 5. I'm old enough to remember when the hand-held calculator was new and expensive. I don't remember the dates - likely sometime in the seventies- when the hand-held calculator's cost was several $100s and was considered state-of-the-art technology. I'm liberal arts type, but my spouse was an engineer and involved at the beginning of this technology, so I recall his friends proudly displaying their latest work-piece. It's really something to comprehend how far technology has come in such a relatively short time period. 9. do you mean graphing ones or even just the basic ones also ? 10. IIRC, they were very basic, and not very small either. Remember, I was more of an on-looker. Calculators were not my thing. We still have hubby's slide rule, though, which I also know nothing about how it works, or how one uses it. 34. Handheld calculators exploded in the late 70s / early 80s. Up until about 1975, you really had to have a good reason to shell out the price of a few family dinners to purchase an object that could only add, subtract, multiply, and divide two numbers and then store that result in memory. The processors that drove those calculators very rapidly got a lot cheaper and more powerful. Suddenly, you had a handheld calculator that could not only implement trigonometric functions and logarithms, but it was actually affordable! In the span of just a couple of years. 35. That's as I remember it, also. from '50s to the early '70s (when it was still called the "Veteran's Administration" ) and I think we actually had that (or equivalent) model. It plugged in. I know we had something before I got my TI-55. 19. The prices dropped fairly quickly, within a few years, as they quickly became mass produced. 20. 1,329,502 x 4 turned upside down. 15. I paid $300 + for a hand held... I believe it was sometime around 1975. It ran on a 9 volt. It was one of my most prized possessions back in the days before the internet, streaming, 4k, VR, or even cable TV. Four functions, eight digits--$200 (1971) Yep, all it did was add, subtract, multiply and divide. Hubby had one. When prices started dropping, so did Bowmar and they filed for bankruptcy. Some sort of raffle where odds were based on how one spent at Goldblatt's department store. It didn't have LEDs. It used GCDs and ran on a 9V battery. We were mighty impressed. My mom loved it over the old, used adding machine she used when paying bills. grade my dad taught me the slide rule (this would have been the summer of 1976. Toward the end of the year in 8th grade math, my math teacher brought six or so calculators into the class. She did an exercise where we punched and she calculated on the board. She was able to beat us in two and maybe three digit multiplication. I think my first calculator was a LCD display Casio sold by Radio Shack in 10th grade. I never owned one of the TI30s. I also got a Radio Shack programmable calculator before I started college in 1981 from my grandpa. Still have that one but have not used it in years. My mentor in my current job used his until he retired a few years ago. His was the Casio(Sharp) branded version. 31. My old man had one of the original TI calculators. 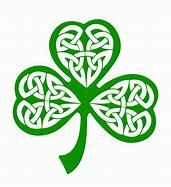 The digits would flash green before finishing the arithmetic.